January 30, 2017-Following the national trend prices decreased again this week across the state. Cimarron has fallen below the $2 mark with the average of $1.97. Leavenworth is not far behind at $2.02. Topeka took a five cent decrease for the week while Salina held steady at $2.14. Of the cities we monitor closely, Emporia is the lowest average at $2.08. Continual growth in the number of U.S. oil rigs and the increased drilling it implies are raising expectations for a climb in domestic oil production. Additionally, increased U.S. crude oil production coupled with lower driving demand has kept downward pressure on the national average price at the pump, which has fallen for 21 consecutive days. Today’s national average price for regular unleaded gasoline is $2.27 per gallon, down four cents versus one week ago, five cents less than one month ago, but 47 cents more per gallon year-over-year. 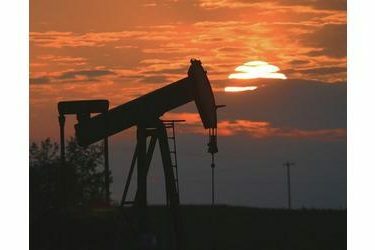 Markets opened Monday morning posting steady crude oil prices as a result of increased U.S. oil production. Oil-services firm Baker Hughes reported that drillers added 15 rigs in the U.S., bringing the total crude oil rig count to 556, the highest since November 2015. The increased U.S. production continues to offset OPEC’s efforts to rebalance the global oil market. End of month surveys of OPEC production cuts are expected tomorrow and traders will be paying close attention to the cartel’s agreement compliance. Market watchers will also keep a close eye on U.S. production and the impact it has on supply and demand. At the closing of Friday’s formal trading session on the NYMEX, WTI was down 61 cents to settle at $53.17 per barrel.